Juliana Daugherty’s “May” is the winner of this year’s Graybeal-Gowen Poetry Prize for Virginia Poets. A recent graduate from UVA’s MFA program in writing, Daugherty is the former editor of Meridian and a resident of Charlottesville. 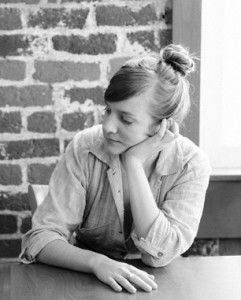 Her work has appeared in Greensboro Review, Boxcar Poetry Review, Midwest Quarterly and DIAGRAM. in the country of despair.